Combine lemon juices in a lidded jar, and season to taste with salt and pepper. Add oil, cover, and shake to combine. Chill until ready to serve. Using a mandoline, thinly slice fennel bulbs lengthwise. Place in a bowl of ice water for 10 minutes; drain and pat dry. 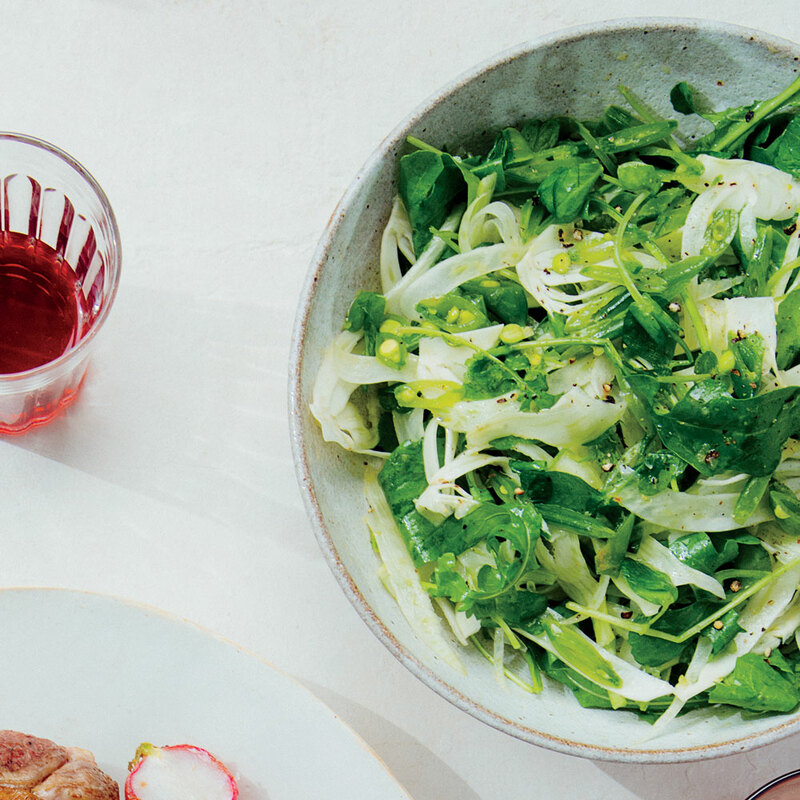 Arrange arugula, pea tendrils, fennel, and snap peas on a large platter. Drizzle with dressing just before serving.